Along with the Vegetable Fajitas, I served this Grilled Sweet Corn with Onion and tomato Salsa. 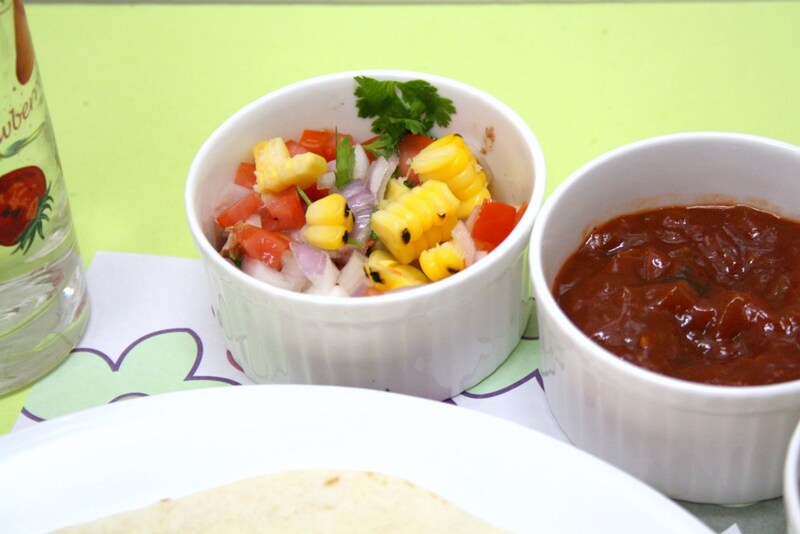 The salsas made with fresh ingredients are very refreshing on your tortillas as they add so much freshness and you get your share of vegetables as well. You can be very innovative with the salsa recipe. Grill the corn over flame, sprinkle salt and run a knife through it to remove the corn. In a bowl mix in minced onions, tomatoes, coriander leaves, finely chopped jalapenos, corn and toss well. Adjust salt and serve with fajitas. Corn salsa tadtes amazing and looks pretty too, so colorful! grilled corn makes me drool..Looks great in salsa..
Corn tomato salsa looks yummy..nice easy recipe. Grilling corn makes it smoky and delicious. Nice and refreshing salsa. Grilled corn tastes so good! Lovely side for the fajitas. Grilled corn looks so tempting in the salsa. 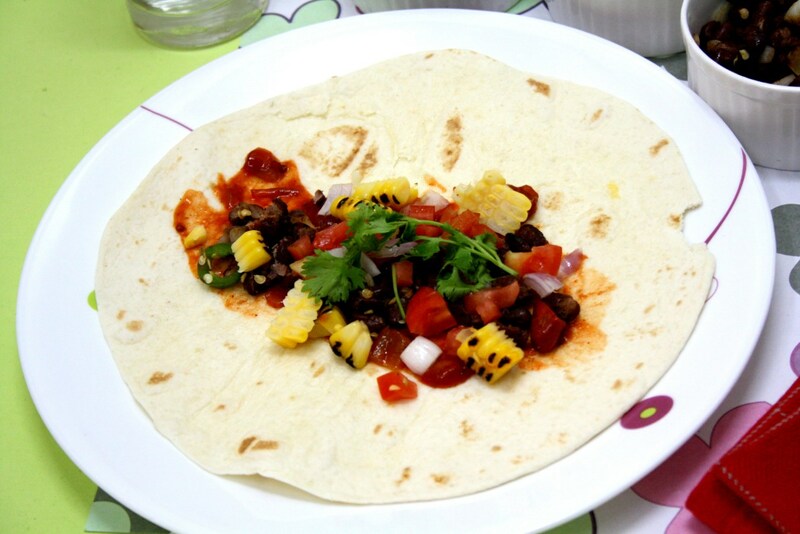 Feel like inviting myself to ur place, hard to resist to this colourful salsa..